An All American Ice Cream & Frozen Yogurt Shop® is a fun people business that appeals to a wide consumer base, requires a minimum amount of inventory and is a cash business that is relatively easy to operate. All American stores do not require long hours, a large staff or the need for a substantial facility. An All American shop is a low-stress alternative to the typical restaurant and, is ideal as a family owned business or for the executive entrepreneur who desires to manage multiple stores. 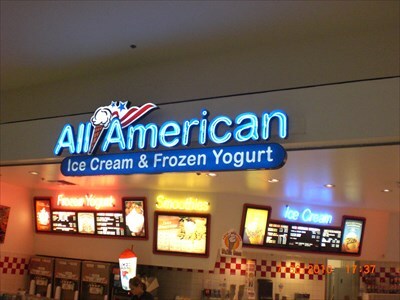 All American Ice Cream & Frozen Yogurt Shops® are located in regional shopping malls, neighborhood “strip” centers and specialty retail locations. Our stores have a bright and contemporary design scheme that attracts and maintains a wide and varied customer base.